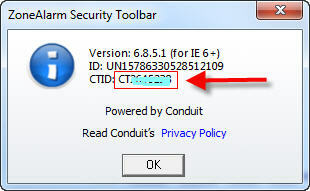 Download the following uninstall tool made just for the conduit version of the security toolbar. Click the following link and we suggest saving to your desktop so you can easily find it later. 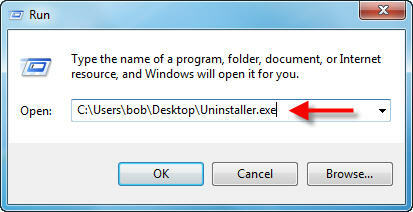 Click Here to download and save the conduit toolbar uninstaller. Open Internet Explorer or FireFox. 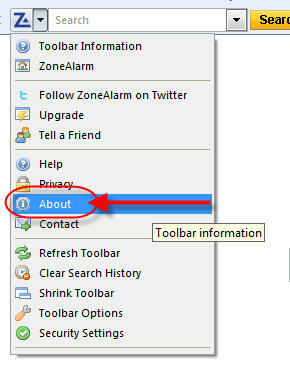 Click on the down arrow next to the Z icon in the toolbar. Then click About in the drop down menu. Make note of the CTID value. You will need this later to remove the toolbar. Now you will need to open the Run command box. In the Run window click the Browse button. 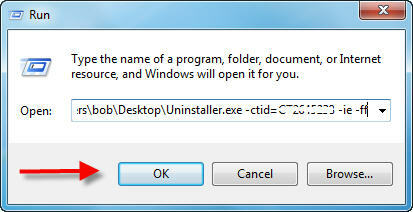 Click on the uninstaller.exe file once to select it, and click the Open button. Click at the end of the text in the Open field so that the flashing cursor appear at the end of the text. You should now see the Run box with something similar to this in the Open field area. Otherwise the toolbar will not be removed. Allow the program to run for a full minute. There will be no indicators that it has finished. you inputted the information in step #4 incorrectly. then start from the beginning and run through the steps again. After waiting a full minute you can open IE or FireFox and the toolbar will be gone.